There’s a spot for sour dairy in my refrigerator. Not the accidental soured dairy that’s been left too long, forgotten behind the orange juice. I’m talking about the intentional soured diary that has claimed its space on the lower door shelf of fridge. It’s a spot of honor really, next to other highly reached-for items like ketchup, hot sauce, and white wine. I have this hazy memory of a Frasier episode wherein Frasier reprimands Nigel (? is that even his name or was that the dog?) for storing milk on the refrigerator door. That spot, as I’d learn, was not as cold as the rest of the refrigerator and a ludicrous place to keep milk at its peak. Seems I live in defiance of that 90’s sitcom and place my already tart dairy right on the door and… listen, maybe I made all this Frasier nonsense up, but it’s a memory all the same. More often than not I have a family-sized tub of Greek Yogurt in that prime fridge spot. It’s malleable enough to be a quick breakfast with a handful of granola and drizzle of honey, a dip if a few spices find their way into the mix, and an impromptu rich buttermilk-y substitute when mixed with whole milk for scones. Mostly I’ll just stand in the kitchen and scoop it out of the container with cucumber slices if we’re being honest and keeping track. And today, because Molly Yeh said it was a good idea, we’re making homemade pita with yogurt and lemme tell ya it’s spot on as far as good ideas go. This recipe is from Molly’s lovely Short Stack book on YOGURT! 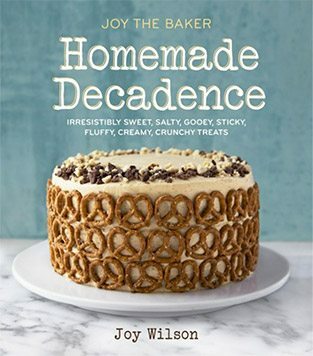 It’s such a sweet book – small but mighty with some stellar recipes. We’re combining her pillowy pitas with my favorite chicken shawarma with roasty, toasty onions and spices from the NYT. Let’s make Molly’s pita! If you’re looking to dip your toes into bread-making (NOT LITERALLY), this recipe is a sweet place to start. The yogurt and olive oil make this an easy dough to work with. It’s like the dough is rooting for you – and I’m pretty sure it is. • active dry yeast + warm water + a sprinkling of sugar // all to activate and feed the yeast. • salt and sugar to flavor and balance the dough. • olive oil and whole milk Greek yogurt (good and thick!) to add an amiable fat. We start by activating the yeast in warm water (just warmer than body temperature). A teaspoon of sugar will feed the yeast, creating all those fluffy gas bubbles you see here. It’s alive, those bubbles are proof. Into a big ol’ mixing bowl we’ll add just under four cups of bread flour. Bread flour has a higher gluten content than all-purpose flour. It makes for a more sturdy dough. Now… could you make these pita with all-purpose flour? Well – yes. But if you have bread flour from another baking adventure, now is as good a time as any to use it! See also: the difference between baking flours. It’s helpful. To the flour we’ll add kosher salt and a tablespoon of sugar to balance and bring flavor. To our dry ingredients we’ll add our wet ingredients starting with the now fluffy yeast mixture. A few tablespoons of olive oil comes next. And whole-milk yogurt! Tart and creamy, adding a rich moisture to this dough. I like to lightly spatula everything together into a shaggy dough before getting the dough hook in the mix. It’s like a head start. The dough will mix on medium speed for about 7 minutes, pulling away from the sides of the bowl and breading a lightly sticky and cohesive dough. If you feel like the dough is too wet and clings to the side and bottom of the bowl, add a bit more flour. I pulled the dough from the mixer, poured a bit of olive oil into the bowl and returned the dough to rise. The olive oil will keep it from sticking. While the dough rises for an hour and a half – we’ll make the baked chicken shawarma. I’ve linked to this chicken recipe in one of my Sunday posts a few weeks back. It’s a simple sheet pan, chicken-thigh situation that you might breeze on by but I’m here to tell you to stop, drop, and roll- this chicken is SO GOOD. Here’s the thing – good chicken is good chicken often because it’s been marinated. I usually marinade the chicken before I even get the pita dough working. The marinade is what you might expect: acid + oil + spices – and it WERKS. Lemon and olive oil to penetrate and tenderize the chicken. Plus this red rainbow of spices featuring, turmeric, cumin, paprika, cinnamon, and red pepper flakes. We’ll add fresh garlic too! The original NYT recipe calls for a reasonable amount (1) red onion, quarter and roasted along with the marinated chicken. As suggested by my friend Nicole, who served me this chicken as a freezer leftover and I lost my miiiind, the more onion the better. They roast down into spicy onion candy and if those three words don’t appeal to you then… well, I’m just confused. My point here is, use more than one onion. Use three, quartered with the root intact so the pieces roast together. The chicken is roasted in the oven until charred around the edges and cooked through. It’s super simple, no flipping or fussing and 30 to 40 minutes later – chicken is DONE! Except, there’s this glorious extra step that is more rule than option. Wait for the chicken to cool slightly, chop into big bite-sized pieces, and pan sear on the stovetop until EEEEXTRA crispy. And now you’re in business. And back to the pita. We need a vessel for our chicken. The pita dough will rise triumphantly. It’s a people-pleaser, you can just tell. The dough is divided into twelve “I totally eyed it” pieces and rolled out to 1/2-inch thick circles. They’ll rest for about 15 minutes on a parchment lined baking sheet while the oven preheats to screamin’ hot. The pita cook quickly. Enough time for a one two song dance break – about 5 to 7 minutes and when you open the oven, these little gems will each be puffed to max capacity. Remove from the pan and place in a towel to cool with a bit of their own steam. Once they’re cool enough to handle, they’re still puffed and pillowy soft. You’ll feel like a super hero and that’s no exaggeration. Some added freshness to our roasted chicken sandwiches: sliced cucumbers, sliced tomatoes, fresh parsley, a yogurt dip that has cucumber and parsley in it, and za’atar and sumac. If there’s something you like that I missed… maybe spinach or peppers – throw em in here. There are no wrong moves. We’ll cut along the seam of the pita, revealing its pocket. If your instinct is to fill it with chicken – go for it. Add some roasted onion, cucumber, and tomato, too! And a dollop of that tart yogurt sauce we whipped up. An unstoppable combination of spiced chicken, sweet onion, fresh veggies, and warm soft bread. It’s also really good nosh-y. Gather round and assemble. My only suggestion, make double the chicken – it’s that good and it freezes well for your future self. You may want to skip below and start by marinating the chicken. In a medium bowl, combine the water yeast and 1 teaspoon of sugar. Let the mixture sit until it's foamy on top, about 5 minutes. In a stand mixer with a dough hook attachment combine the flour, salt, and remaining tablespoon of sugar. Add the yeast mixture, oil and yogurt and mix to combine. Stir the mixture with a spatula to lightly bring it together then knead with the dough hood on medium speed into a slightly sticky and soft ball. Add more flour if the dough seems way too sticky. Remove the dough from the bowl. Add a splash of olive oil and return the dough to the greased bowl. Cover with plastic wrap and allow to rest in a warm place until doubled in size - about 1 1/2 hours. While the dough rests, I cook off my marinated chicken. Preheat the oven to 500 degrees F. Dang that's hot. Line two baking sheets with parchment paper and set aside. While the oven preheats, turn the dough out onto a clean work surface and divide into 12 equal balls. Roll the balls out into circles that are 1/4-inch to 1/2-inch thick. Cover loosely with plastic wrap or a clean kitchen towel and let rest for 15 minutes. Place the pita on the prepared baking sheets an inch apart. Bake until they're puffy and lightly browned on top. Check their doneness after 5 minutes. They cook fast. Somewhere between 5 and 7 minutes should do the trick. Remove from the oven and clean kitchen towel, cover and let cool. To enjoy, use a knife to split the pita at the seem, creating pocket for all that goodness! First we'll make a marinade for the chicken. Combine the lemon juice, 1/2 cup olive oil, garlic, salt, pepper, cumin, paprika, turmeric, cinnamon and red pepper flakes in a large bowl or ziplock bag. Whisk to combine if you're using a bowl. Massage to combine if you're using a bag. Add the chicken and toss well or massage to coat. Cover or seal and store in refrigerator for at least 1 hour and up to 12 hours. After the chicken has marinated for a bit, place a rack in the upper third of the oven and preheat oven to 425 degrees. Line a rimmed sheet pan with foil and use 2 tablespoon of olive oil to grease the pan - you'll have 1 tablespoon of olive oil left. Add the quartered onions to the chicken and marinade, and toss once to coat the onions in marinate flavor. Remove the chicken and onion from the marinade, and place on the pan, spreading in a single layer. Place the chicken in the oven and roast until it is browned, crisp at the edges and cooked through, about 30 to 40 minutes. Remove from the oven, allow to rest 2 minutes, then slice into bits. To make the chicken even more crisp, set a large pan over high heat, add remaining tablespoon of olive oil to the pan, then the sliced chicken and some of the onion pieces, and sauté until everything crisps up. After the chicken cooks I increase the heat of the oven and bake off the pita. Sprinkle the cucumbers and tomatoes with za'atar, salt and pepper. Slice open pita pockets at the seam, leaving half of the bread pocket attached. Add pieces of chicken, the roasted onion (it's extra nice if you remove the root of the onion), seasoned cucumber and tomatoes, fresh parsley and a dollop of the yogurt mixture. Enjoy right away with a few good napkins. It's perfection! Previous Post: « Let It Be Sunday, 167! Recipe Looks so easy and yummy I will try it. I want to sleep with my head on those pitas they look so perfect (but, my head is heavy and deflate they would). Also, always more roasted onion! That looks so inviting! You make the pita look easy. Yum! What a great lunch idea! Scrolled through your email this morning when I was in bed and immediately got up and put the chicken shawarma in motion. Looking forward to cooking that up this evening! Thanks for the inspiration. Stop it right now!! This sounds heavenly! It’s going on next week’s menu and I cannot wait! pita perfection! I need to get my hands on Molly’s new book. I’m planning a trip to Greece this fall, so maybe I’m overly-aware, but it seems like Mediterranean food is having a moment! I’m all for it. I’ve seen several recipes for the meat, or the sauce, but this is the first for the pitas themselves. Thanks for putting it all together. I spent a month in Greece a decade ago and STILL dream about the food. If you see a dish that’s basically chickpeas in some kind of butter sauce, GET IT. You are taking back to my trip to Israel with this one. Looks so delicious! I was so hoping you would include the pita recipe when you first posted the chicken recipe. Thanks so much! Your encouraging, conversational content is a blast to read. You had me at Stop, Drop and Roll. Chicken Thighs on our dinner table tonight!